A flourishing society. Your faith, your voice, your vote. A Flourishing Society: Your Faith, Your Voice, Your Vote is a resource to help you think about your vote at the 2016 Federal Election. It is an invitation to consider some of the important issues that the Uniting Church and its members have been engaged with through our ministry and advocacy. The booklet, A Flourishing Society, contains information to help you think about your vote as a positive contribution to a flourishing society which values the good of all people and the planet, now and into the future. 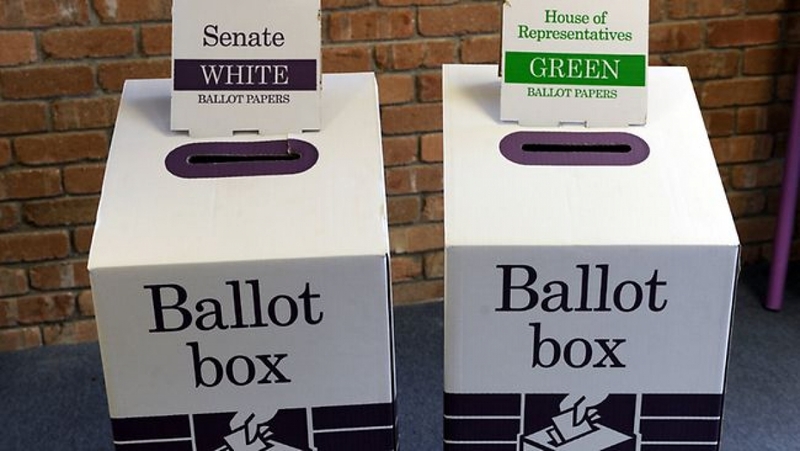 The Election Toolkit is full of ideas to help you actively engage with your local candidates. A message from the President of the Uniting Church in Australia, Stuart McMillan. “I came that they may have life, and have it abundantly,” said Jesus. (John 10:10) The picture of abundant life that’s painted in the biblical texts is one of peace and reconciliation, justice and transformation, love and inclusion for all creation. It is about wholeness of life and access to all that is necessary for people to flourish. We are called to participate in God’s mission for the world – a mission of reconciliation that is God’s love acting in the world through us – for justice and peace. Following the example of Jesus and with the wisdom and grace of the Spirit we make God’s love manifest for people as they experience dignity, respect, meaning and purpose in life, connection with the earth and all its creatures, health and security, inclusion in communities of care and participation in society. These are the necessary ingredients for people to flourish. When they are reflected in public policy (the laws, regulations, programs and funding that governments deliver on our behalf) they are typically defined by policies in such areas as social welfare and community services, human rights, environment, finance and economy, employment, housing, health and education. In public policy terms, in an affluent nation like ours, people flourish when they are safe from violence, harm and persecution, have decent employment and adequate support in unemployment, are able to access adequate and appropriate, healthcare, education and housing, and are able to participate in decision-making in the community. Our society flourishes when there is equity among all people, when we have a vibrant civil society and a political system that is robust and has integrity, when human rights are upheld and when we act with respect and care for the planet and the diversity of life that depends on its health and wellbeing. The areas of public policy covered in this suite of resources reflect the ministry of the Uniting Church Assembly through its various agencies and units and some of the priorities identified by Uniting Church synods through their social justice units. My hope is that this resource will help you to consider your vote through the lens of our faith and the gospel values which compel us all to be engaged in God’s mission in the world. The Uniting Church has, since its beginning, sought to engage constructively in national affairs. We hear God’s call on us as a fellowship of reconciliation and as individuals to stand against injustice, greed and prejudice and work for a society marked by justice, peace and hope. I would encourage you, during the course of the election campaign and through your vote to make known what matters most, enabling us together to grow a flourishing society. Your faith. Your voice. Your vote. The President of the Uniting Church in Australia Stuart McMillan has encouraged Uniting Church congregations around the country to make their voices heard during the 2016 Federal Election campaign. “Every election is an important period of national discernment,” said Mr McMillan. “We have many passionate advocates in our Church who will be active during this Election campaign talking to their local candidates and speaking out on a range of issues. The Assembly’s 2016 Federal Election resource A Flourishing Society: Your Faith, Your Voice, Your Vote will be made available on the UnitingJustice Australia website in mid-May. The editor of the resource, National Director of UnitingJustice Australia Rev. Elenie Poulos says the guide will bring together the work of Uniting Church agencies. “The future of offshore detention, climate justice for the Pacific region, valuing cultural and interfaith diversity are just a few of the issues to be highlighted in A Flourishing Society,” said Rev. Poulos. “Let not your hearts be troubled . . . I go to prepare a place for you.” (John 14:1-2). These well-known words were part of one of the readings at the service I attended on 1 May. The songs we sang reiterated their message of comfort and reassurance: “Nothing can frighten, nothing can trouble”, and “We know ourselves beloved”. None of it brought me any comfort. In fact as the service proceeded I became more and more troubled and agitated. I thought about the appalling disjuncture between these words and the comfort and security they offer, and which we claim, and the realities of the ghastly, life-destroying limbo to which our government has consigned the asylum seekers and refugees detained on Manus Island and on Nauru. Eventually, the prayers of the people gave me an opportunity to put some of my anguish into words. How can the hearts of those detained on Manus and Nauru be other than troubled? How can they believe themselves to be beloved? Who will prepare a place for them? How can we go on about justice and love while these travesties remain? These questions have troubled me for a long time of course, but the events of the last week gave them a new sharpness. I was filled with hope by the PNG government’s announcement that the Manus Island Detention Centre, where 850 men who have sought asylum in Australia are incarcerated, is unconstitutional. How quickly that hope was dashed when our federal government, knowing it could speak for the opposition as well, declared that, should the centre close, there is no way the men will be allowed to come to Australia. Not our responsibility. Not our problem. Let them go back to where they’ve come from, or let them stay in PNG, or be taken to some other nearby nation (which will almost certainly be impoverished and unable to provide adequately for them). Let not our nation be troubled with their needs; let us not prepare a place for them; and let’s not entertain talk of our responsibilities under international conventions, or of the obligations arising from our shared humanity or our claims to be decent and compassionate people. My heart remains troubled, but also hopeful because I know I am not alone. Here at Pilgrim — and elsewhere in our city — there are many who share my anguish and anger and who are ready to contribute, right now, to building a groundswell of political opinion and action that our government will disregard at its peril. My hope is that my raw and unrehearsed interruption into Sunday’s service might nudge us into finding the energy, courage, imagination and preparedness to reorder our priorities that this will require. As we celebrate and spoil our own mothers this Sunday, let’s also pause together to pray for the mothers of people who are in detention, particularly people on Manus Island at this time of great uncertainty. Most of us know how worried and anxious our mums can get! Mothers and families – who may be across the other side of the world – are the forgotten victims of detention. The uncertainty of knowing when your child will we be free, or safe, or healthy is a debilitating burden to bear. On the first Thursday in each month, there is a gathering of people at the front of Pilgrim (12 Flinders St) to give witness to the need to demonstrate care and compassion to refugees and asylum seekers. Please feel free to join us. More information on the Facebook Page, Standing with Refugees. There is a new refugee group in Adelaide meeting, Refugee Advocacy Collective. Some of you may be interested in knowing about ‘phone top ups’ for men on Manus – their only connection with the outside world: families, friends, and advocates and supporters in Australia. Talk with Sandy if you want to find out how to assist in this practical way. You might like to get involved in The Welcome Centre, supporting new arrivals, teaching English, supporting refugees setting up businesses like Ayla’s Cafe, and practical skills development offered to refugees and asylum seekers through Hope’s Cafe and Experience Cafe. And there’s so much more – in advocacy, in practical support, in prayer, in growing awareness. If you’re interested, please don’t hesitate to make contact. SYRIAN FAMILIES are now arriving in Adelaide.